Ohhh...pretty! I think that family picture would make a great christmas card, pump up the contrast and even turn it sepia or b&w....ohhh...so fun! You always have amazing photos, Jennifer and I like the board on your wall, beautiful! Someday it will go back to being just a board, because that won't be "stylish" anymore (remember dusty rose and dusty blue decor? )...but NOW people pay big bucks (at least here) for wood like that...seriously! Soooo lucky, it's gorgeous! 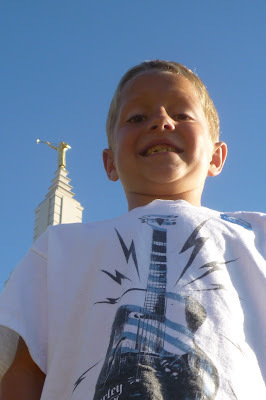 Love your pic with "the tree". Not just any tree, it's "the tree" to the Pollock family. 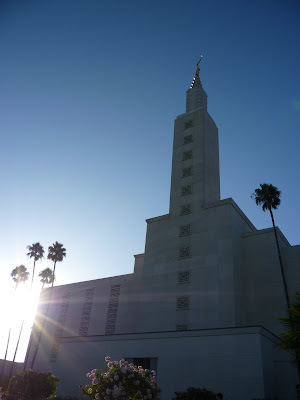 I had no idea what they were talking about until I went to the LA temple for the first time.